We have these ideas in our head of how the biggest day of our life will go down, but the weather sometimes doesn’t get that same memo. Recently I had the great pleasure of designing with bride to be Bec and then creating her wedding bouquet. The brief was a classic mainly all whites and creams mix of flowers with a touch of blue delphinium to match in with her bridesmaids dresses. 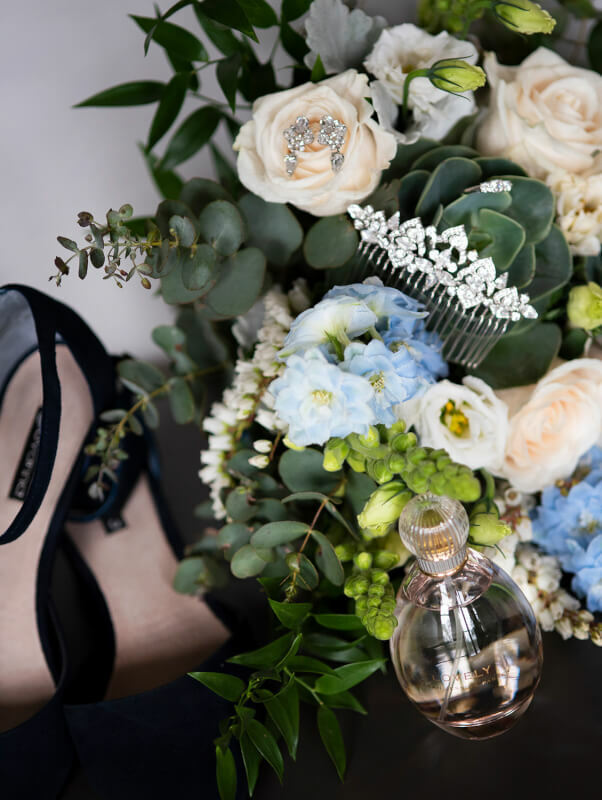 Bec’s bouquet was to have two succulents as a feature, succulents would be used as table centrepieces and throughout the wedding theme. 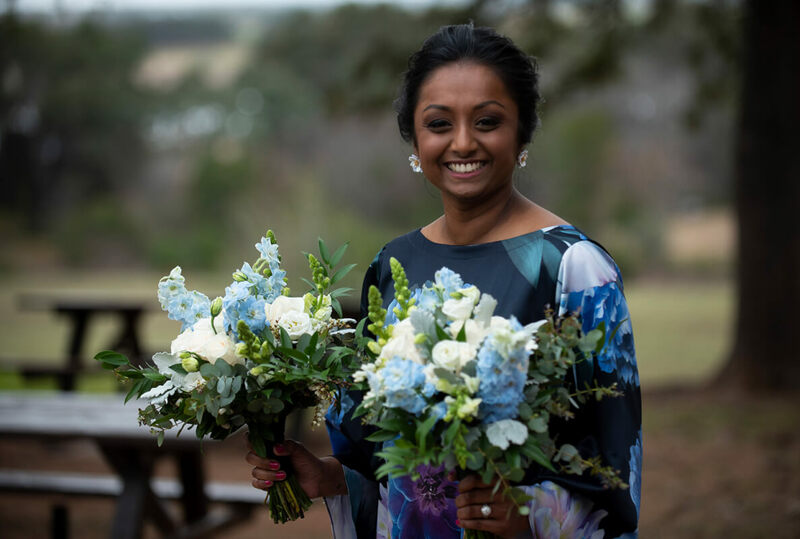 We didn’t need succulents in the bridesmaids bouquets, as we all know at the end of the day, its the bride, her gown and bouquet that we want to make heads turn and grooms heart bounce! I thought about Bec all day as after I had her bouquets and buttonholes delivered the weather clearly wasn’t going to clear up, it was making its point ,it was going to stay wet for the day. The day after the wedding, I received a beautiful text message of thanks from bec.my heart jumped at first and then a smile grew ear to ear on me. It was so kind of her to take that few minutes out to let me know her bouquet was how she had visioned and she was over the moon with the end product. They had a wonderful day celebrating becoming husband and wife. Rain ,hail or shine, the end plan was to stand by the side of their best friend, their lover ,and their soul mate.this was accomplished.